CME Credits will be offered! The Injury Free Coalition for Kids serves as the outreach arm of the Center for Injury Epidemiology and Prevention of Columbia University in the City of New York. 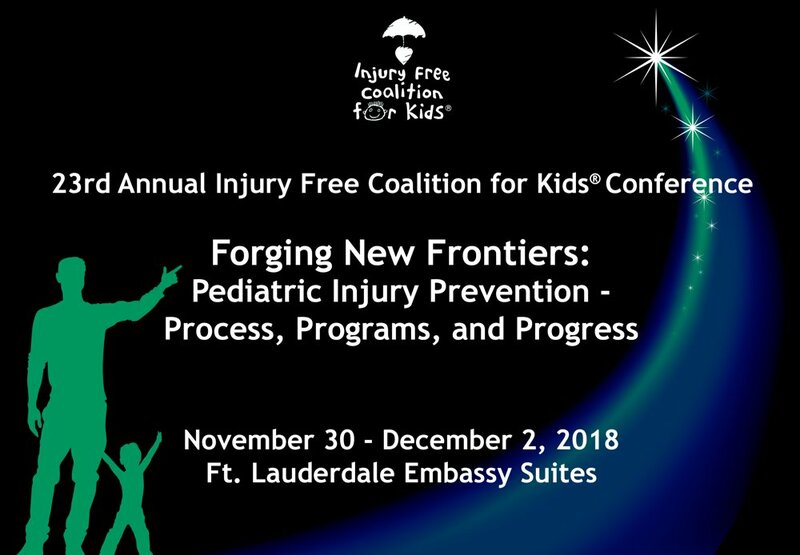 Forging New Frontiers, the annual conference of the Injury Free Coalition for Kids, is the premier injury prevention meeting to foster collaborative research, develop best practices and address challenges in the field of pediatric injury prevention. Share and explore challenges and successes in community-based injury prevention programming with the goal of helping trauma centers develop and improve injury prevention programs. This activity has been planned and implemented in accordance with the accreditation requirements and policies of the Accreditation Council for Continuing Medical Education (ACCME) through the joint providership of Cincinnati Children's and the Injury Free Coalition for Kids at the Center for Injury Epidemiology and Prevention, Mailman School of Public Health, Columbia University. Cincinnati Children's is accredited by the ACCME to provide continuing medical education for physicians. Cincinnati Children's requires all clinical recommendations to be based on evidence that is accepted within the profession of medicine and all scientific research referred to, reported or used in support of or justification of patient care recommendations conform to the generally accepted standards of experimental design, data collection and analysis. Anyone in charge of content will be required to complete a financial disclosure statement prior to the conference and to disclose to the audience any significant financial interest and/or other relationship with the manufacturer(s) of any commercial product(s) and/or provider(s) of commercial services discussed in his/her presentation and/or commercial contributor(s) of this activity. All planning committee members and/or faculty members were determined to have no conflicts of interest pertaining to this activity. of the Princeton Area Community Foundation.